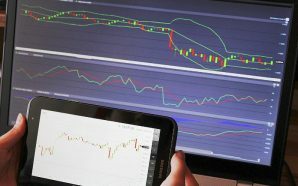 5 things about Forex trading you need to know! 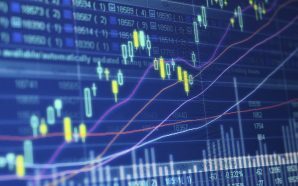 Forex trading has become hugely popular in Australia and around the world in recent times, with people from all walks of life signing up to try their hand in the world’s largest financial market. It is estimated that the volume of Forex trading, on average, is currently valued at $5.3 Trillion per day! The entire Australian Stock Exchange is a drop in the ocean compared to it. Even the London, Tokyo, and New York Stock Exchanges,all put together, fail to compare in size with the mighty FX market. With this much money changing hands on a daily basis it is no wonder why so many people want in on the action. But if you think you can trade the FX market and become a millionaire overnight, think again. Forex trading is a serious business and you need to know the secrets of the game before you play it. 1 – Have a strategy and stick to it. It sounds simple enough and it is but it can be challenging to stick to your game plan when you have money riding on the outcome. All too often people will open a position on a trade and then go through the emotional roller-coaster of watching the charts go up and down, changing their positions, and their strategies as they go along. This is not only erratic and unprofessional, it also robs you of the chance to profit as it lacks the structure and discipline that successful trading requires. Before you start trading it is important to establish what you want to achieve from Forex trading and then develop a clear and defined trading strategy that supports your goals. After that master plan has been established you need to have the discipline to actually implement the strategy and stick to it. Your sticking power will be put to the test but it is imperative for the longevity of your trading career that you adhere to your trading plan. If you need a hand in developing your trading strategy check out the USGFX TradersClub Coaching Program – It’s a structured coaching program that allows aspiring traders to create their own FX strategy. 2 – Don’t let your emotions trade for you. Trader’s psychology is one of the main elements of Forex trading that is often underestimated or thought of as a secondary thing. Yet this is actually an element that can single handedly make or break you as a trader. 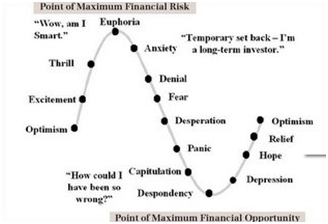 The emotional journey that a trader goes on is a rich and complex one and therefore it is absolutely essential that you have a good understanding of how your mind reacts to certain events. As you can see from the diagram below, when a trade goes your way it can transcend you into a state of euphoria and intense joy. On the other hand, if you find yourself on the losing side, feelings of regret and despondency flood the mind. Understanding your own personality and temperament and how you respond to certain events allows you to actually use your emotions and take control of the situation, rather than the situation taking control of you. The key here is to develop a trading strategy that is compatible with your personality, rather than trying to modify your personality to fit a particular trading strategy. When you appreciate that you may experience different emotions at different stages of a trade, you will be able to notice when they are beginning and not allow them to cloud your judgment. Noticing your emotions can also serve as a trigger to focus you back on your actual trading and less on your emotions. As you get more and more experienced as a FX trader, and you understand which emotions are triggered and at which points of a trade, you can actually start to “leverage” your emotions to help you become a more skilled trader. In the world of leveraged trading things can move very quickly and risk management is all about managing your risk and managing your trade to ensure your success and survival as a trader. Having proper risk management levers hooked up to your trading strategy is certainly one of the smartest things you can and should do. Make effective use of your Stop Loss and Take Profit orders. Stop Loss and Take Profit orders are very simple tools that can make the difference between a successful trading career and a big hole in your wallet. Consider using these orders with every trade that you make. Additionally, do not invest too much of your capital in one singe trade.As a general rule, a trader who risks a quarter (25%) of their investment portfolio on a single transaction, actually ensures the end of their trading road in the market. Exposure of 2% – 5% of the investment portfolio on a single transaction is the recommended exposure to risk. Risk management along these lines will maximize your chances of longevity in Forex trading. The USGFX Coaching Program can show you how to develop and properly execute your own risk management plan. In Australia there are many Forex brokers to choose from and this can make it difficult for traders to choose the right one. Regulation – This is perhaps one of the most important factors of them all. Make sure your broker is regulated in the market that you reside and trade in. The highest form of regulation in Australia is through the Australian Securities & Investment Commission. ASIC regulated brokers must adhere to strict compliance & auditing processes, including following guidelines on how to hold client funds (segregated funds), providing traders with a degree of security and protection. Segregated funds – Ensure your broker keeps clients’ funds separate from the company funds, in a segregated trust account. Negative Balance Protection – There are not actually many brokers out there that provide negative balance protection. This is when your losses cannot exceed your account balance. To put this into context, when the Swiss National Bank dumped its Euro ceiling in January last year, causing the Swiss Franc to jump 30% in value, there were many traders who had lost everything and actually ended up owing their broker money as their accounts went into negative balance. Naturally, it provides a great peace of mind if your broker offers this form of protection, so it’s definitely worth asking the question. If you are interested to find out about the USGFX Negative Balance Protection trading account, please leave your details on the registration box at the end of this article and an USGFX account manager will be in touch. Dedicated Account Manager – These days more and more Forex brokers are offering only automated customer service with very little personalized and one-on-one interaction with their clients. As traders are usually busy people and have their full time day jobs or small businesses to take care of, having a dedicated account manager to assist you with any trading issues is certainly a great advantage. Provision of education – Knowledge is the key to trading. Having access to a structured Forex educational course and receiving ongoing coaching can make a big difference on the survival and success of your trading career. Check if your broker has a good educational course and if they do, make the most of it. 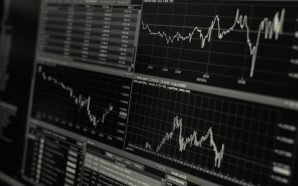 Live Market Data – Trading is all about entering the market at the right time with the right information so having the most reliable and up-to-minute market information is worth its weight in gold to traders. Look for a broker who offers good quality technical analysis and live signals so you have the timely market data at your fingertips. 5 – Pick your account type and leverage that suits your needs. Just because there are certain account types that offer gold trimmings and leverage of 1:1000 doesn’t mean you should trade on one of them. Reflect on what you want to achieve from FX trading and look at your skill level and choose an account type that is suitable for your requirements and does the job. Generally speaking, an account with very high leverage represents greater risk and if you’re a beginner, a standard account with a lower leverage might be better suited to you. As a trader you also want to choose an account that will keep your trading costs low. Trading costs come in the form of commissions and spreads, but bear in mind that you want to look for overall value for money when choosing an account and not just what the cost to trade is. Pay attention to what services your account gives you. 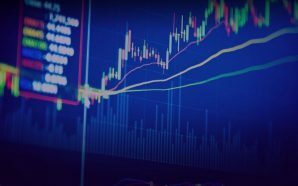 There are some brokers that offer accounts which come with free live signals and trading set-ups streamed directly to your trading platform. Forex trading is as much about patience, learning, persistence and discipline as it is about charts, signals, leverage and choosing the right broker. As long as you have a defined trading strategy, the correct mind set and a sound risk management plan, you have put in place the core foundations required for a successful shot at FX trading. I’m just impressed with your careful technique, let us link up some point. Many thanks for this, I am going to definitely discuss this with my favorite readership. drive a handful of my followers your way. The things you come up with hits a nerve with me, many thanks for challenging your followers. also have you book-marked to check out new information on your site. I appreciate you for this, I’ll certainly readily share it with my favorite readers. Excellent, what a website it is! This weblog presents useful facts to us, keep it up. interesting article likke yours. It’s prettty worth enoubh for me. did, the wweb will be a lot more useful than ever before.